In my last blog post, I showed how to get started with LinuxKit for Google Cloud Platform. 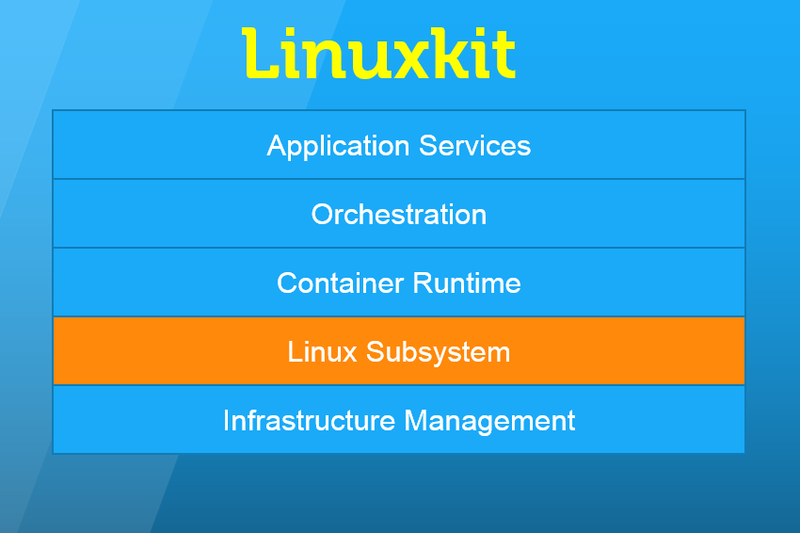 LinuxKit is secure, lean and portable Linux Subsystem for the container movement and it is being built for various platforms which Docker runs on, for example – Azure, VMware ESXi, AWS and bare metal system. It went open source just 10 days back and you can see that the project has received over 2300+ stars in just 1 week time. That’s really appreciating figure. If you are completely new to LinuxKit, please refer my last blog post for understanding its basic concept. 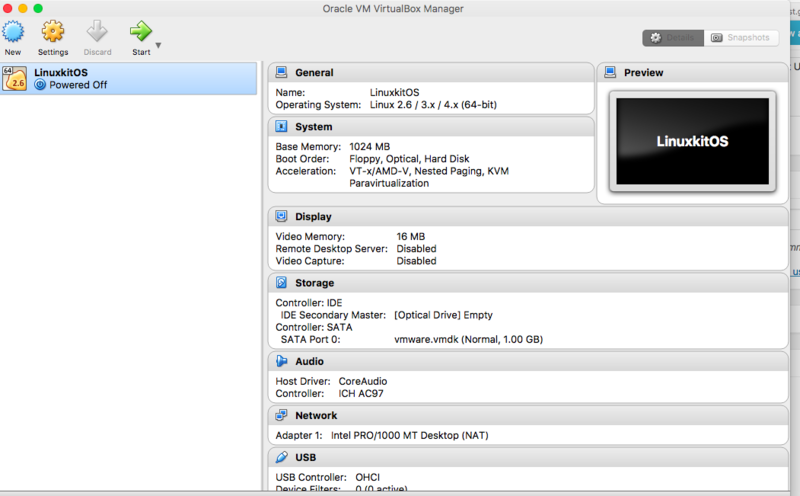 Under this blog post, I will show you how LinuxKit OS can be run over VirtualBox running on macOS Sierra. Though the entire steps can be automated( this automation script works well for Ubuntu OS and can be tweaked for macOS), I have put it in simpler way. remote: Counting objects: 20097, done. Receiving objects: 100% (20097/20097), 15.76 MiB | 441.00 KiB/s, done. Resolving deltas: 100% (12066/12066), done. This build up two essential tools for us – moby and linuxkit. Type your preferable name under VM name(I named it as LinuxKitOS) and select VMware.vmk from your macOS to import it into VirtualBox. Click on “Create”. 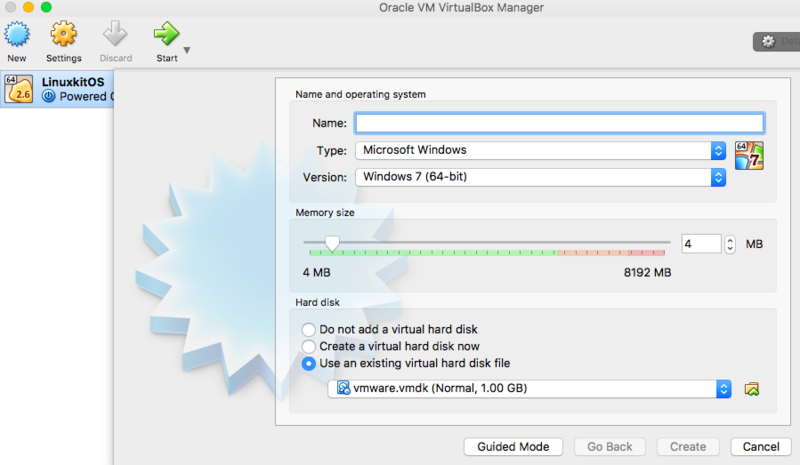 Next, you can start the VM by clicking on “Start” button. It hardly takes few seconds for LinuxKit OS to come up. 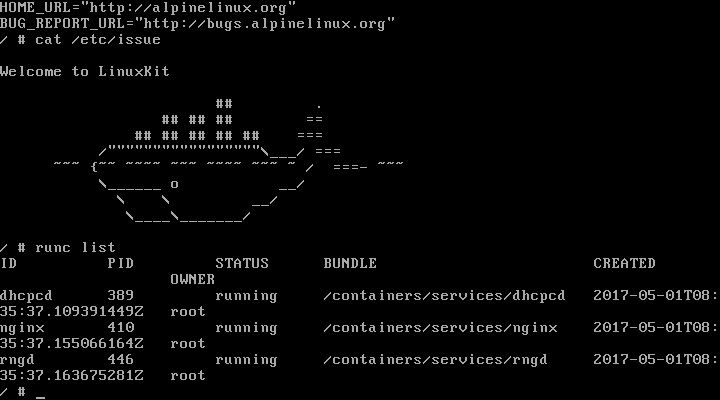 Once up, you can run runc command to see the list of services up and running. The above command converts VMDK to VDI format which is now ready to be imported into VirtualBox. Still I would love to see LinuxKit providing the direct way of importing it into VirtualBox , the similar way how it pushes to Google Cloud Platform. LinuxKit for AWS and Azure is under progress. In the future blog post, I will try to cover how LinuxKit works on other platform like Azure and AWS.